Sue Corbett shares some of INASP’s experience and observations about Malawi’s research system based on a recent visit and many years of working in the country. Our local partners, Trevor Namondwe and Patrick Mapulanga (of MALICO, LUANAR and Chancellor College) halfway through the 2000km road trip. Think of Malawi, and you might think of vivid green tea plantations or a sparkling freshwater lake. You probably wouldn’t think about its research and knowledge system – strained, but still alive with new ideas and energy to ensure research is at the service of Malawi’s development. 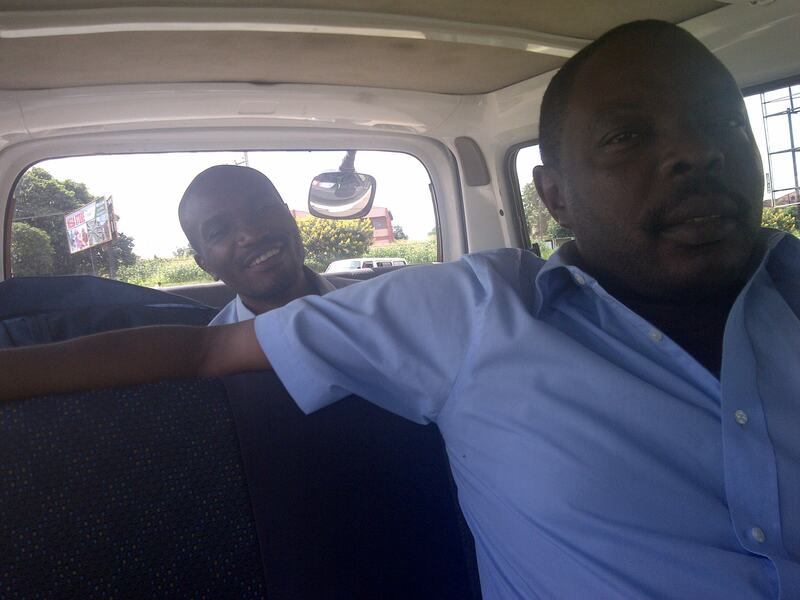 In March a colleague and I made a five-day visit to Malawi, jointly with a couple of our Malawian partners. It was one of a series of visits that INASP staff members are doing to assess the conditions in our partner countries, discuss progress in current projects and understand readiness for further support in strengthening various elements of the research and knowledge “ecosystem”. Malawi is a small, poor country. 60% of its population relies on subsistence agriculture. Up to 40% of the national budget comes from international aid so the 2013 Cashgate scandal and the subsequent suspension of funds from a number of donors hit hard. Only 1% of high school graduates is enrolled in higher education, significantly less than neighbours Tanzania and Mozambique. And in January 2015, Malawi suffered its worst floods for 50 years, killing hundreds and displacing thousands. On a 2,000km road trip, we visited universities, government and related bodies, and development organizations. We stopped off briefly in a village on Zomba Plateau where the effects of the recent rain and hail could be seen in the twisted metal roof of our driver’s family house. Despite all the challenges, there was an impressive recognition of the central tenet that we hold dear at INASP – that development must include the generation and use of knowledge, evidence and research that is relevant to local needs. The 50th anniversary of independence has provoked a “stocktaking” and reflection on what universities should be doing and what community engagement should look like. Universities are being challenged to engage with the new public sector reform agenda published in February 2015 and some senior academics lamented the continuing existence within government of “cut and paste” policies from elsewhere that end up achieving little. And knowledge is being generated, if not always published, from some places that might appear surprising to outsiders. Although Kamuzu College of Nursing has only just admitted its first cohort of seven PhDs, every one of the Master’s students has to do a piece of research on topics such as self-testing for HIV, intimate partner violence, post-abortion care and neonatal outcomes from new approaches to treating mothers. Chancellor College is currently reviewing the curricula for all the courses it offers and wants every one to include a research component. LUANAR, the newly independent university for agricultural and environmental science, now has 3,500 students on undergraduate, masters and PhD courses. With some new funding, it may now also have the opportunity to establish itself as a centre of regional excellence. If it does, it may be able to start doing larger, locally-led research projects that generate better data for national decision-making than the contract research that has monopolized faculty time until recently. The development of a body of researchers at various levels is one matter but building the skills they need to get funding, develop good projects and communicate the results is another – and the latter is where we at INASP focus our efforts. Within the University of Malawi, the Research Support Centre at the College of Medicine has successfully developed a programme of support for researchers in funding, grant management and compliance, data and research methods. Researchers from the diaspora have been attracted home and the College currently has 76 grants with the 17 largest totalling $115m. The University of Malawi would like to have a similar centre in every college but the pool of expertise is currently small, what works and what doesn’t has to be figured out as they go along and there are many competing calls on the time of trainers and trainees alike. 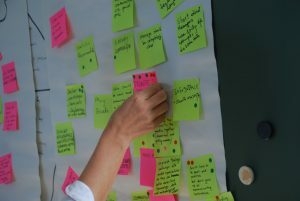 Here, we felt, was a golden opportunity to put training online so that opportunities for learning could be scaled up, and accessed at the point of need. When it comes to putting research into use, Collins Mitambo explained the Knowledge Translation Platform, an IDRC-funded project embedded in the Ministry of Health, which aims to generate evidence-based policy briefs for use in national decision-making. A community of practice that includes policymakers and researchers determines the subjects. They are currently focusing on the areas of HIV and the use of data for managing the supply chain for drugs and, in particular, avoiding the stockouts which have been a problem in Malawi. Members of the community are being trained to write the briefs and they usefully include a list of the policy options and the pros and cons for each, with policy dialogues being held to discuss the results. This echoes some of INASP’s experiences with policy dialogues through the VakaYiko programme in Zimbabwe. Sydney Byrns of Engineers without Borders has been in Malawi for four years working on water, sanitation and health. She told us how their work has shifted from hands-on infrastructural work to working with local partners to make sure that good data and evidence are being gathered to inform decision-making at district and national levels. 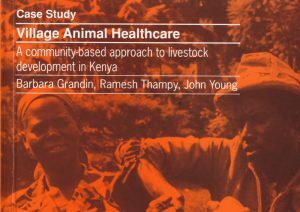 Clement Udedi of DTree International, who is also doing a part-time MBA, told us how a recent AuthorAID course on writing up research for publication had helped him. But we were just as interested to hear that his day job involves equipping health workers with standardized protocols on smartphones. This has been enthusiastically received because it helps health workers reduce the diagnostic errors that resulted from the very basic clinical training that is all that most receive. As on all our visits, it is not hard to identify those individuals with the energy and commitment to push for change. Some of those individuals also have the ability to motivate colleagues and fund-holders to mobilise the resources they need to get started. But moving from early stage projects to sustained change at a national level is a whole different challenge. This is where INASP’s support within the Strengthening Research and Knowledge Systems programme is designed to help. 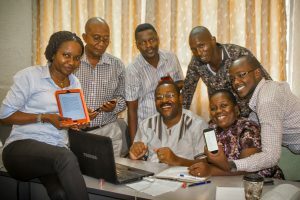 In Malawi we work with the Malawi Library and Information Consortium to ensure that universities and research institutions can secure access to the journals and e-books they need – a challenge when foreign exchange is in short supply. We’ve also been working with Mzuzu University to explore how professional training programmes can be strengthened to develop librarians ready to support Malawi’s future research needs. This factsheet gives a snapshot of what has been going on in collaboration with our local partners. 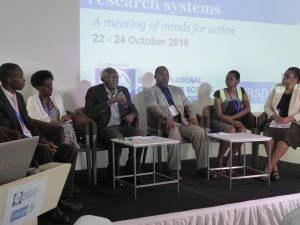 Follow the hashtag #inaspMW for more on our activities with Malawi and sign up to alerts from this blog for further discussions on research systems. Very interesting update Sue / the Malawian partners. Keep up the good work. I don’t envy 2,000km road trip in 5 days though.